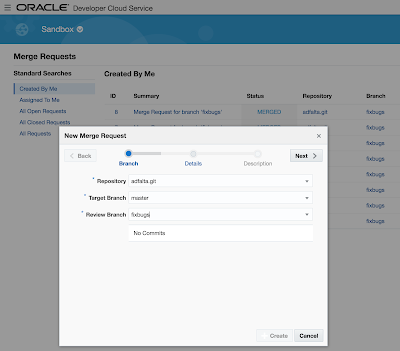 We are moving our internal development to Oracle Cloud production instance. 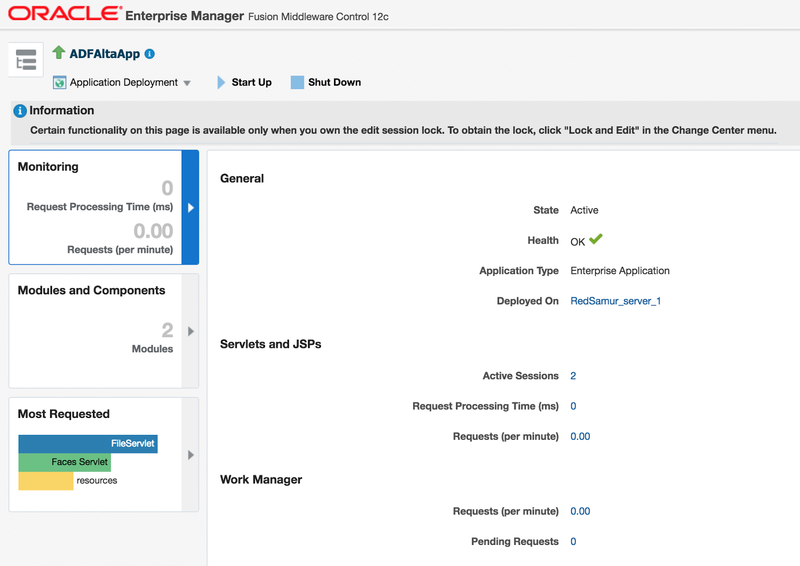 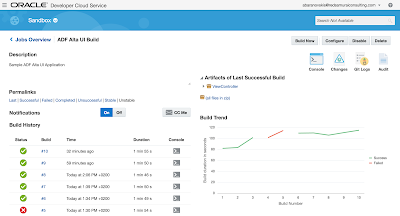 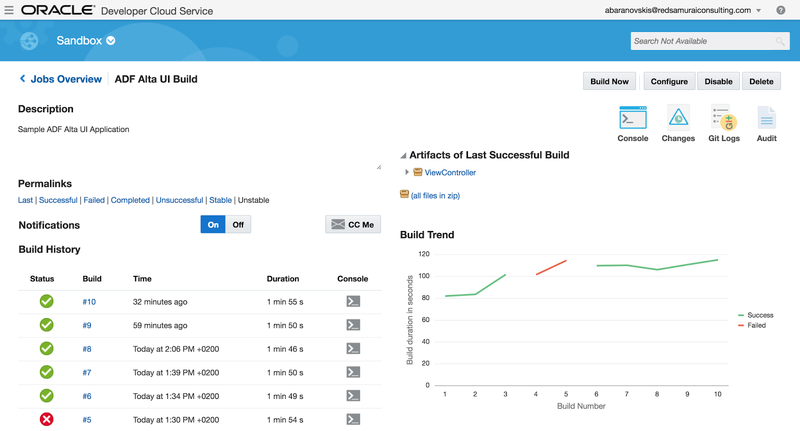 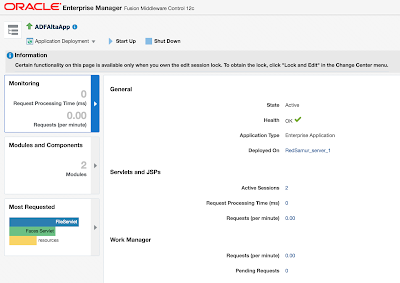 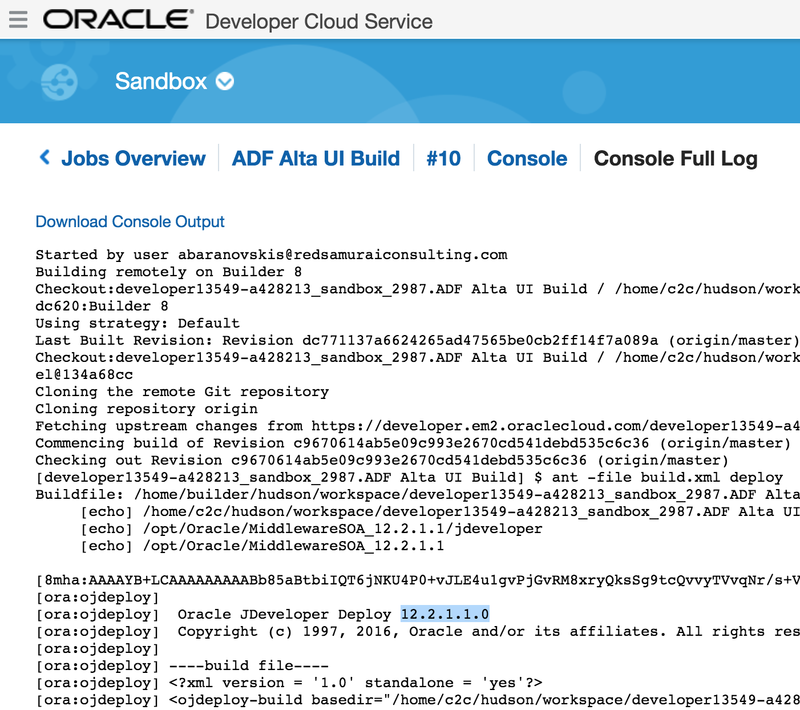 This weekend I was going through build automation and deployment process with Oracle Developer Cloud Service. 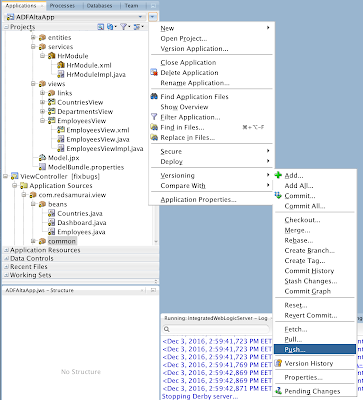 I would like to share few hints with you. 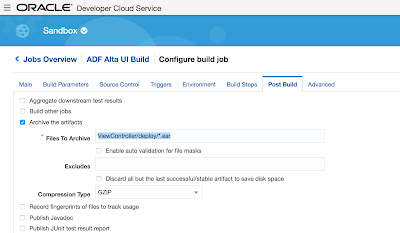 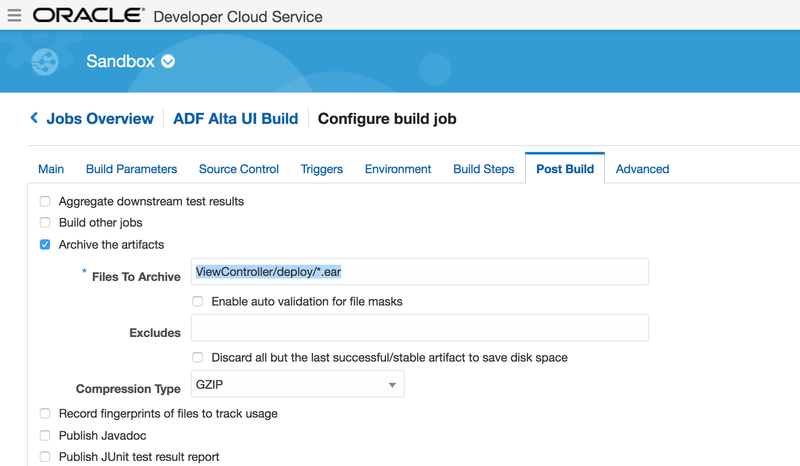 Download ADF 12.2.1.1/12.2.1.2 example configured with Ant scripts for build automation on Dev CS - ADFAltaApp. 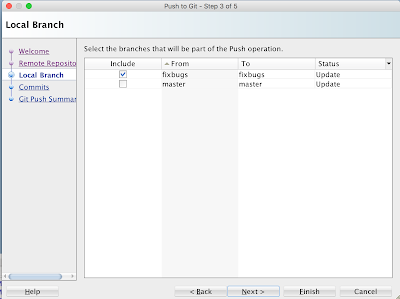 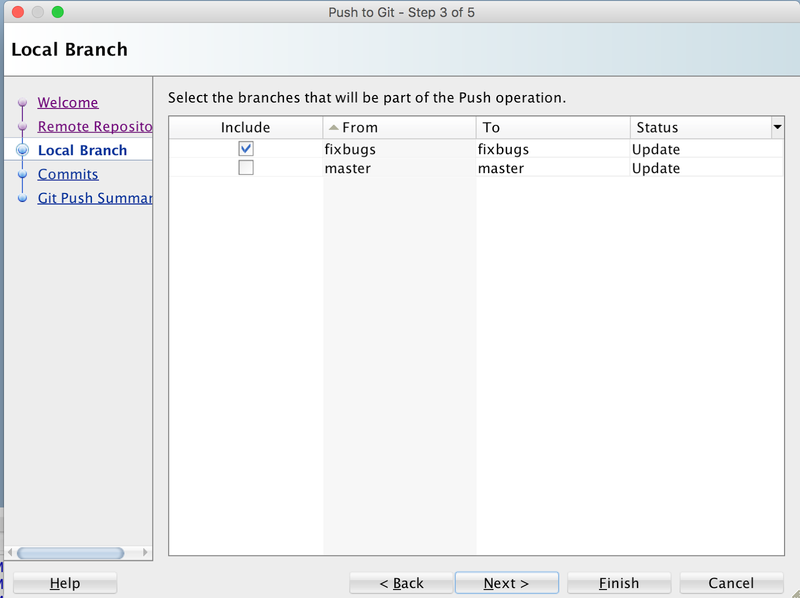 You can specify approvers and later when changes are approved, they are merged to master branch. 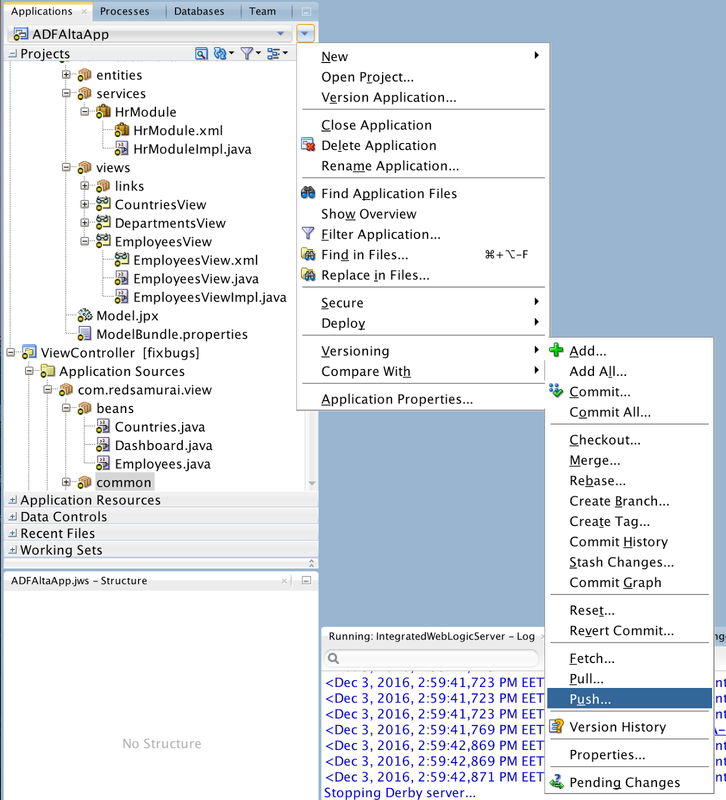 Besides all this, Dev CS offers Wiki's, issue tracking and bunch of other useful features for day to day work in development. 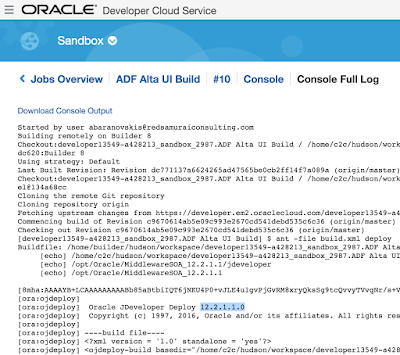 So far no complaints, good job Oracle.